A large ball is taking place tonight in the castle. Princess must prepare the castle for arrival of guests. She needs to make it so that the castle was clean and shone. First it needs to catch all the cats in the cage. Then to do the cleaning in the castle. There is so much garbage! Use boxes of rubbish and a broom to make the room clean. 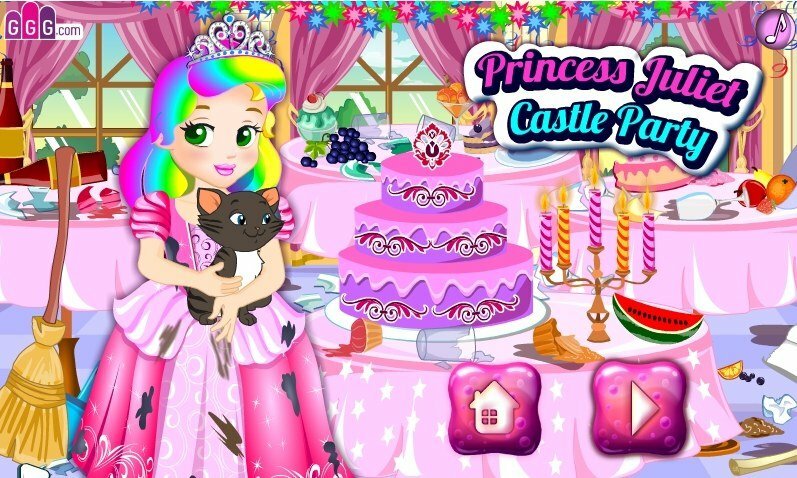 Loan you will need to help Princess Juliet to choose a new dress and make a cool hairstyle. How to play: in this game you will help the girl to prepare the room for the arrival of guests. Well you need to work hard to have all rooms were clean! Played: 21807. Added: 17-11-2015, 01:33. Princess Juliet Castle Party game. 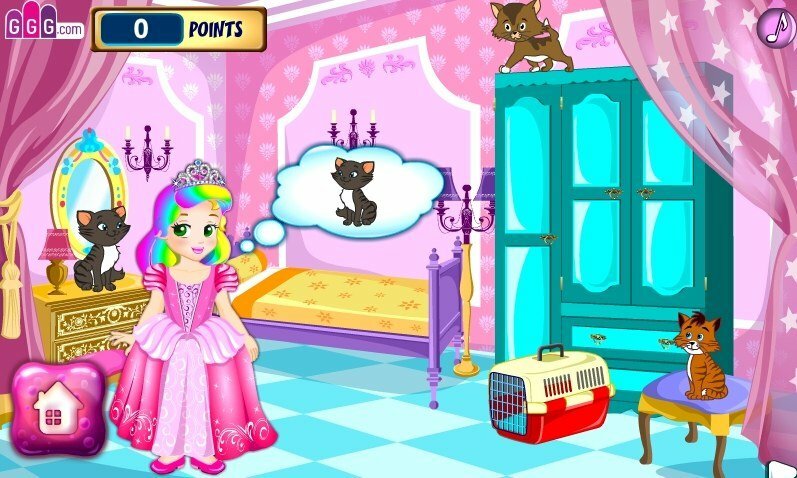 Help princess to catch all cats in this room.